Side 1 printed with four-color process. Side 2 printed with 1 PMS color using light coverage. 130lb C2S Dull stock coated with Aqueous Matte. H2 business card slits on both pockets. A row of photos shows the types of commercial properties Hayes Commercial Group leases, sells, and invests in. A black and white background photo gives the design depth and artistic appeal. Deep blue pockets establish Hayes as a reliable brand, while the orange accents allude to efficiency. Photos on the back are colorized orange to add artistic elements without interrupting the design's flow. Four-color process printed on Side 1 of 14pt C2S White Semi-Gloss stock. Both sides coated with Aqueous Gloss. H1 business card slits on both pockets. 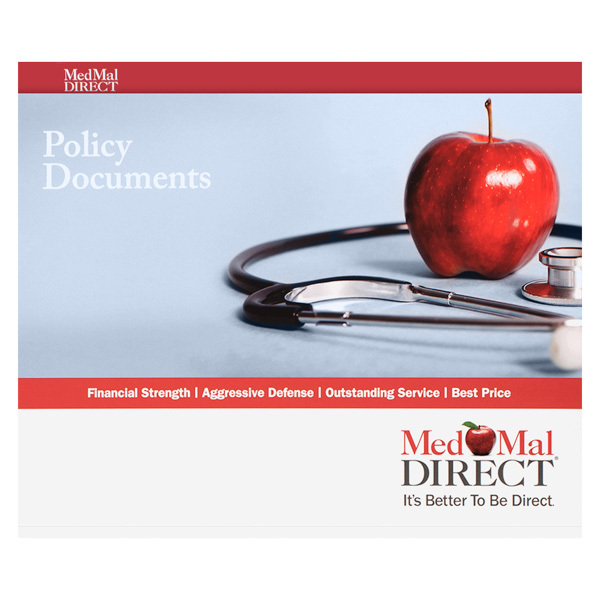 There's plenty of room for clients' documents in MedMal Direct's expandable folder. An apple and a stethoscope are featured on the cover, tying into the old "apple a day" adage. The medical malpractice insurance firm also uses an apple in its logo, along with a serif font to signify the company is reliable. Company contact information is inside on the left pocket. The back features the same baby blue, white and red color scheme as the front, but has no images. Four-color process printed on Side 1 of 14pt C1S Semi-Gloss stock. Coated with Aqueous Satin. H1 business card slits on right pocket. 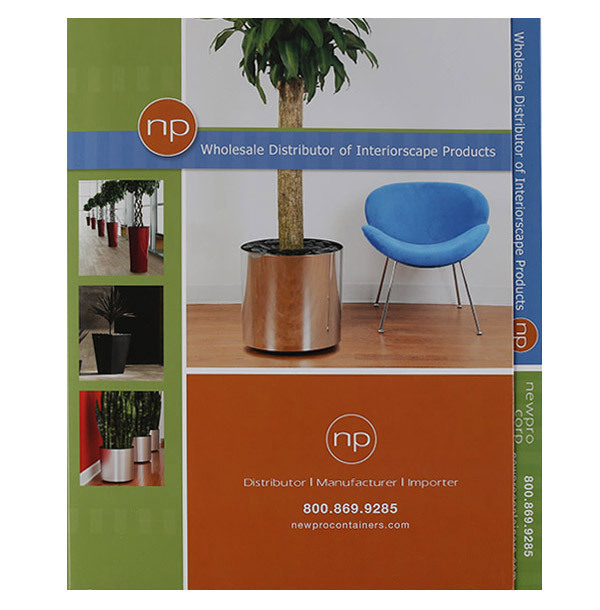 NewPro Corp's plant containers inspired this unusual design. A brown square near the bottom of the cover resembles a terra cotta pot, while green and blue accents look like the leaves of a healthy, freshly-watered plant. To top off the blocks of color, high-resolution photos showcase NewPro Corp's products. The reinforced right file tab increases the folder's durability and leads to the interior. Brown pockets look as if customers' documents are inside a plant container. On the back cover, a photo collage reveals more product styles, acting as a mini-catalog. Side 1 printed with four-color process. Side 2 printed with 1 PMS color using light coverage. 18pt C1S White Semi-Gloss stock coated with Aqueous Matte. D1 disc slit on left pocket, with H1 business card slits on right pocket. 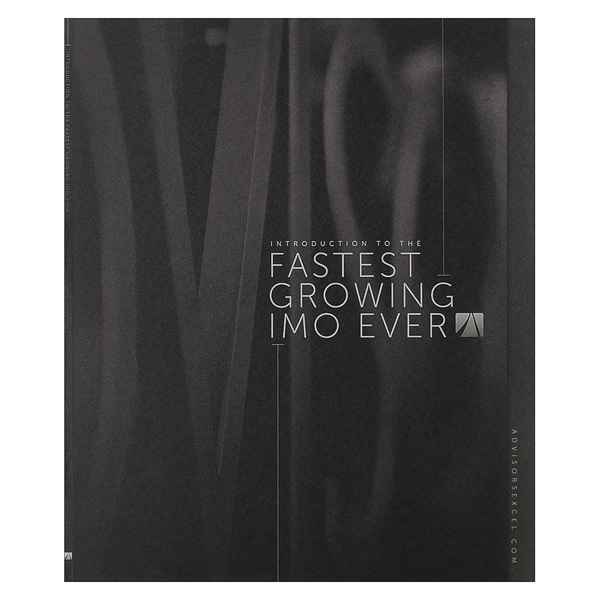 Designed for insurance marketing organization Advisors Excel, this dark color scheme features charcoal lines on a black cover to imply power. Gray sans serif text completes the sleek, modern look. The solid black interior and back cover are the perfect places for contact information. Small text at the bottom of the back panel is unobtrusive, letting the brand logo in the center absorb the bulk of the viewer's attention. 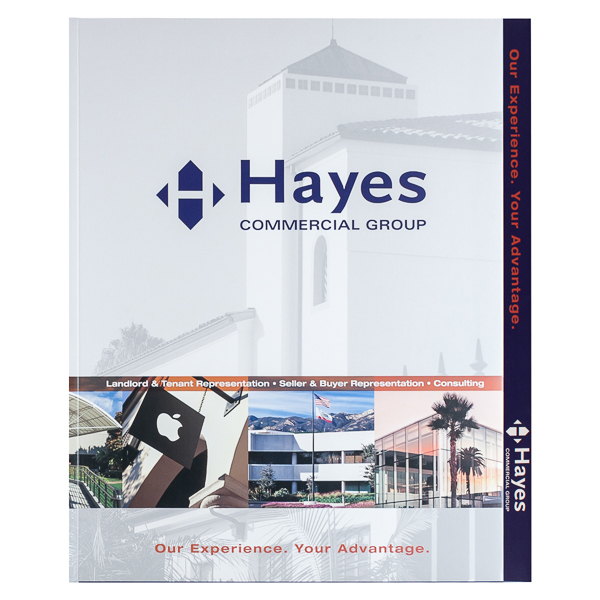 Two pocket styles make this product perfect for any 8 1/2" x 11" print media. The right pocket expands 1/4" to carry thick pamphlets, catalogues, or packets. The traditional left pocket holds slimmer items. A 1/4" double-score backbone creates space for the cover to lay flat, even when both pockets are full. Both panels feature 1" reinforced edges to protect against wear and tear. The right reinforced edge doubles as a full-length filing tab on which to print your company's name, contact information, or label to help recipients to locate it in a messy desk. Dimension Open: 19 1/8" x 11 3/4"